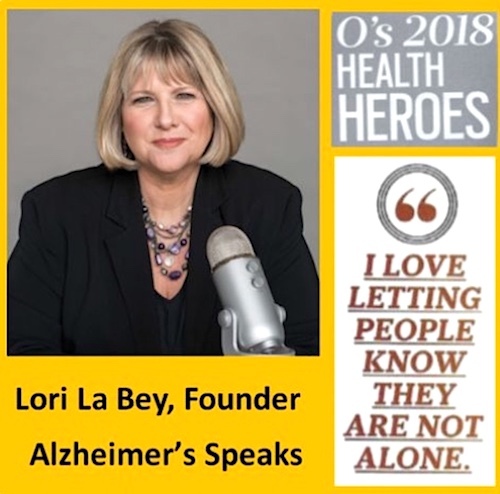 Alzheimer’s Speaks founder Lori La Bey is driven to help people with dementia and their care partners live positive and purpose-filled lives. The work of her Minnesota-based advocacy group has been recognized by Oprah Winfrey, Dr. Oz and Sharecare and Alzheimer’s advocate Maria Shriver, who named Lori an “Architect of Change for Humanity.” For Lori, it’s all about shifting from crisis to comfort and choosing to consciously care in every moment we’re given. Lori talks with Jana about how her work evolved, why she created multiple platforms for people to access dementia care educational tools and the lone criteria she had for her next gig when she left the residential real estate business after 25 years. And then there’s story of Betty the Bald Chicken. See below for a transcript of this episode. 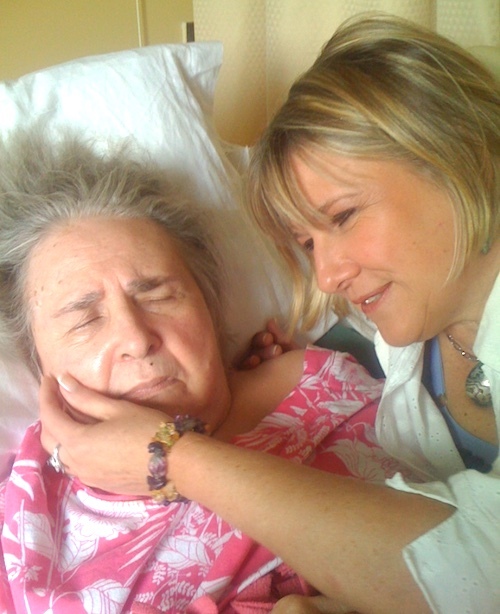 Lori with her mom, Dorothy, who had Alzheimer’s disease. JANA: Lori La Bey is driven to help people live positive and purpose-filled lives with dementia. Not just people with dementia, but also anyone caring for that individual. For Lori, it’s all about shifting from crisis to comfort, something she knows a thing or two about. Lori’s mother struggled with dementia for over 30 years. 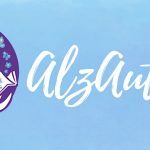 Their shared experience lead Lori to create Alzheimer’s Speaks, a Minnesota-based advocacy group that provides resources and tools for people dealing with Alzheimer’s disease and other forms of dementia. Lori’s work has been celebrated not just by caregivers and their carees, but by Oprah Winfrey, Dr. Oz and Sharecare, and by Alzheimer’s advocate Maria Shriver, who honored Lori as an Architect of Change for Humanity. In 2013, Lori was appointed to be an International Ambassador for the Purple Angel Project, the new global symbol for dementia. Lori La Bey joins us today from Maplewood, Minnesota. 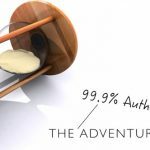 Lori, welcome to The Agewyz Podcast. LORI: Well, thanks for having me. I’m excited to be here, Jana. JANA: So before we get into the advocacy work, I would love for you to share for our listeners who don’t know, a little bit about your upbringing and your most vivid memories from your childhood. LORI: Well, I grew up in a very loving family. Mom, dad, older brother, younger brother. So I was a middle child and we just did everything together. I was reminiscing with my own family about how different times are, like when Sunday stores weren’t open and everybody had family time. And that was just really special for us, you know, we were always connected and if one of us was involved with something, everybody went to celebrate it and support it, and it’s just difficult I think for families to do that these days because everybody’s in something and there’s so much competition. And then you add both folks working– you know, my mom didn’t work when we were little, and then she went part time when we got a little bit older and stuff. But you know, we had the family meals and went to church, and stopped church and then converted to a hockey family. LORI: My brothers got really involved. But we were just looking at old eight millimeter film of our vacation times and going to the lake and it was just a simpler, quieter, yet really joy-filled time growing up. And not that we didn’t have our struggles, every family does, but we were really pretty darn solid, and supported our community, knew our neighbors, so there wasn’t this isolation that you see, there wasn’t the nit-picking that you see nowadays in terms of “I’m right, you’re wrong.” And if somebody didn’t shovel their driveway, people didn’t just let the snow pile up. They knew something was wrong and they knocked on the door and made sure people were okay, and we’ve lost that I think today. JANA: Yeah, I think it’s still goes on in some neighborhoods, but I think you’re right. There’s been a general debasement of the social contract. But we’re going to talk about a slightly different topic: your mom. I wondered if you could tell us a bit about when your mom was diagnosed. I understand she’s no longer living. She died in 2014. Is that right? LORI: Correct. But she’s sitting right here with me. She’s always with me. We were in this together through this whole journey. We kind of have this spiritual contract with one another. It was a very interesting journey, but she knew she had symptoms for a very long time and her doctors back then, you know, that was 35 years ago, kept poo-pooing it to– it’s just your hormones, Dorothy, it’s just your hormones. And my mom would go, this ain’t my girlfriend’s hormones. And she’d giggle, you know, out of frustration. So for the first 10 years, she had all the symptoms. She knew something was off, but the medical professionals didn’t know what to do with it. She didn’t want to go to anyone else because they had gone to this MD for 40 years and they trusted this person, and so then my dad got sick and that’s when we really got a true, formal diagnosis. He got diagnosed with cancer, and at that time we just said okay, we’ve got to take her in. This has to happen. And they did the battery of tests. It was extremely difficult on her. She was so frustrated, and then months later we get a letter back saying she’s got the mentality of a 3-year-old, don’t let her out of your sight. And that was it. JANA: And how old was she at that point? LORI: At that point she was in her mid-60s, and they had just retired up to the lake and they were living at the end of a peninsula. And we’re like, now what do we do, as a family? But she and my dad, you know, they were two peas in a pod. They rarely did anything without the other and she kind of pulled herself back because she didn’t want to make mistakes, so she gave up driving herself. We didn’t have to have that argument. She had gotten lost earlier and got scared to death. So she just kind of self-monitored some of those things and made– we were lucky as a family– she just made some really good decisions. But she pulled back socially. She didn’t want to make a mistake, didn’t want to misspeak or not show up on time. And so she stopped doing a lot of things that she loved and she got really content within her own home and just being able to sit and look at the lake or visit with the neighbors right there. And that was easier I guess for us as a family in a lot of ways, though she had her times — like, she wouldn’t allow my sister-in- laws in the kitchen. So every time everyone would go up, I was the chief cook and bottle washer because no one else was allowed in her kitchen but me. So you had those things that you had to struggle through and you know, you’d say inside, that’s not fair, and it’s like — neither is what she has. So give it up Lori and stop whining and she’ll be happy. Everyone else was having a good time and just be grateful that you can play this role and that family life can continue. Sometimes you know, I just thought I had to have those talks with myself– of, get over yourself. You’re not all that. And this is your role in this journey and what can you learn from it. JANA: That’s very enlightened. I don’t imagine you got there right away. LORI: Oh no. No. When my folks were moving up to the lake, I’ll never forget this. My mom was a pack rat and so I thought, okay, I’m going to start small. What can go wrong in a linen closet? Everything. When your mom and dad, you know, it’s just the two of them and she has over 100 washcloths and you’re trying to get her to weed down, you know, and some of them were just rags that should have been in the garage for my dad and stuff. And I just thought, oh this is really gonna be an exhaustive process, trying to get her to let go of things. But you know at that time I didn’t understand– and people with dementia have now taught me– how important their things are to them, that they are very aware that they’re losing memories and processes. And so when we take things away, that to them, you know, in their eyes… they’ve said, it’s okay, take more memories away from me, because they have memories attached to so many things. And not that everything in my mom’s kind of “hoarder collection” had a memory, but she also went through the Depression era and so things have different meanings than they do to the rest of us, and we have to appreciate what is their reality, what’s their perspective, what’s their history. And earlier on we need to start asking those questions: what’s important to you? Because as the disease progresses, we don’t know when we’re making judgments and then we’re getting upset when they’re upset. Well, you know, if somebody came into my house and started tossing all this stuff they didn’t think was all that great, I’d be mad too. JANA: Your Dad had been diagnosed with cancer, so I’m wondering how he coped with your mom’s dementia in the midst of that and how his own diagnosis progressed. LORI: Well, my dad had brain cancer and he hadn’t been feeling good for almost a whole year. Again, going to the doctor. They’re telling him, oh, he’s got the flu. He’s got a little virus, and then all of a sudden you had a bump on his forehead and they said, we’re gonna take an x-ray, and we’re gonna do a CAT scan. And then all of a sudden it’s a tumor. And so we get this emergency call to get up to the lake and they’re just walking out with the test results, going to talk to my folks and said, you know, this isn’t good, and we can’t handle it up here. You need to go back in town and pack him up and bring him to the hospital. And it was right before Christmas and they said, we’re going to give you a private room because they had no idea if he was going to make it through the surgery. LORI: And he did live. They were originally thinking he might have a year and a half and he lived four and a half, so we were extremely lucky. His tumor had the kind of fingers going outside, so it was eating through his skull so it didn’t wrap around his brain, so he really didn’t have any damage. He was just slower and more tired. And he did actually really well with my mom, but during that period they lived with us for a little while and then they ended up getting an apartment which was like two blocks away and I was over there constantly. And so you know, at that point we were doing it all together and I was really the primary caregiver for both of them at that point. But my family was kind of the typical family. The guy brought in the bacon and then he did all the outside work and mom took care of the family and did all the inside work. So my dad literally couldn’t cook. Couldn’t boil water, but he just stepped up to the plate. He learned how to vacuum. He learned how to cook. He learned how to wash clothes and not once did he complain. Not once. And I remember asking him, you know, how are you doing? And he’s like, this is the least I can do. She’s been there all these years for all of us. He was just an incredible example of how to kind of lead by example. He was just astounding. JANA: You were, for lack of a better phrase, saddled with a lot of responsibility there. I’m wondering how you coped and how you got through all that. It’s tough to manage it, but then also to process your own emotions. How did you maintain your balance, if you did? LORI: Well, I think– there were times I didn’t. I mean, right now my friends call me the calm one, and oh, you handled it so well. I’m like, you know what? I had my screaming matches with God in the basement when no one was home so the neighbors wouldn’t hear me yell: I need help! I can’t do all this. 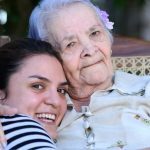 But what it made me also realize was that as a young girl, and I’m going to be 60 this summer, I was raised to be a caregiver. That’s what little girls were raised to do, so we as women keep taking more stuff on and we don’t realign and we don’t rebalance because we’re not taught how to do that. We’re just taught to get through it and do the best you can. You’ve got more in you than you think, and so I did that. LORI: I was married, I had a daughter. I worked full time. I volunteered, I had extra people staying at my house, I was taking care of my mom and my dad, and it was just constant. And I realized that I became the fix-it person. And one night I actually had an epiphany about it. Some people might say it was a nervous breakdown. I say it was an epiphany, where I heard these voices screaming at me going, this is going to kill you. You can’t take care of everybody and you’re not taking care of yourself. And it was just a real awakening and it just lasted that moment. But I remember waking up in the morning telling people that I was no longer a caregiver and that I would assist everybody as best I can, but I will never put more effort into their journey than they are. And I found I was doing that with a lot of people in my life. LORI: And so those people dropped away. And it was very lonely because it was like, where’d my tribe go? But my tribe was actually there because I was their fixer. And then I could really concentrate on who I wanted to be there for, which was my mom and dad and my immediate family. So there were times where I wasn’t the most gracious daughter, and my mom would repeat herself 45 times in 10 minutes and I couldn’t make a game of it. I didn’t think it was funny. I had stuff to do! And she was distracting me from getting it done. And I remember one time snapping at her, feeling so horrible, thinking she deserves better. I have to reframe what I’m doing. So I ended up creating a tool called Your Memory Chip™, which is something free that anybody can download. And it asked basically three questions: What do I want my person with dementia to know? And this works for our families. And it works for staff and for staff. It’s, I’m here to support you, for families. It’s typically that I love you. LORI: But what I found was the words aren’t enough. We have to use our multisensory connections. We have to use the same tone of voice, maybe the same saying. Maybe wear the same cologne, enter the same way, same eye level, same touch, entrance and exit, so that it compounds what they can grab ahold of to remember us. And then the second question is: what do I have to focus on? And I interviewed people all over the world about this and I was so proud because I thought, I got this down. Everybody’s got a checklist like me! And I’m like, woohoo! This is great! And then I woke up a few months later in a cold sweat thinking, oh my gosh, I missed something so subtle that totally kicks the task list to the curb. LORI: And that was everybody I asked had kind of this undercurrent that said, this isn’t how I thought my life would look. This isn’t what I thought I’d be doing. And you see that [the] emotional need trumps our ability to really be able to focus on somebody else and put them first. Because as humans we’re always taking care of ourselves first, even if it’s subliminal. And so I thought I have to switch from my past. That still needs to get done, but I have to make something else the priority. And so what do I really want for my mom? And I came up with three words. I want her to feel safe, I want her to be happy and I want her to be pain free. And when I focused on those three things first, I found I did my tasks different. I found there were things on my list I didn’t have to do, that they were there to make me feel like I was doing something, not necessarily that they were giving her any comfort. I found that I could give things away, that I didn’t have to be the one anymore to do certain things. So it gave me a lot of freedom. LORI: And then the last one is: what do I want to remember? And that led me to what I call fears, tears and joy. And a lot of people get trapped in the fears and tears. And the tears are about what we’ve lost. We focus on everything that we’ve lost instead of being grateful that we had it to begin with because some people never had what we’ve lost. JANA: You’re talking about caregivers– what we’ve lost as a caregiver. Just to clarify. JANA: And there are so many more of those kinds of feelings available to us that are just there for the taking, but you know, we’re so busy living our lives and trying to achieve our checklists, I think, that we don’t recognize the abundance of available moments that are there for us to enjoy. One of the things you said earlier about our instinct to be caregivers, to care as women, I think the difference with caring for someone with any form of dementia is that you don’t recognize the fortitude it’s going to take to take care of that person for a long time. It’s the hanging in there part of it, the long term commitment that you find yourself having to make, like– oh, this is not a passing thing. This isn’t like someone else’s kid I can hand off to them after enjoying a few games of Lego. JANA: Lori, I understand that in 2011 you launched what is believed to be the first memory café in the United States in Roseville, Minnesota. What exactly are memory cafés? And tell us a little bit about the launch of the café. LORI: They are absolutely spectacular. It’s a concept actually I learned from Norm McNamara, who is living with dementia over in the UK. He was talking about this group that he went to and how much fun they had and that it was for, not just him and people with dementia, but it was for people living with dementia and their care partners. And I thought what a beautiful thing to be able to learn to live graciously together. So I talked with Norm and he hooked me up with David Light over in the UK and he sent me over all their documents and said, build them and they will come in. So it’s a concept that wasn’t paid for, it’s not really owned. I think I’ve told people, you know, if they open them up to be careful with their branding because with branding, you know, everyone wants to own it, control it, because that’s what we do in the US — we’re all proprietary, and it’s like this is a gift. This is a huge sharing of a beautiful way to support people. And so in the US, we have over 600 of them now and needless to say, I’ve not been involved with the majority of them launching. It was really about getting the word out, helping people find mentors. So there’s all different types. LORI: The one in Roseville that we did, we originally thought, well we’re going to have one that’ll be convenient for older adults that don’t like going out at night, so we’re going to have that in the afternoon from one to three, and then we thought we’ll have one in the evening for adult children who could maybe bring parents or aunts or uncles or whatever. And we found that the adult children one never took off. So our group said, can we just have both days? Do it one to three? And we said absolutely. We thought originally we would do some programming and what we were told in our group was, hey, there’s enough of that around the community. If you can just put those lists together, that’s fine. But we really just liked talking with our friends because so many people lose family and friends coming around because they don’t know how to interact and they’re uncomfortable with the disease. LORI: So we said absolutely, you know, that makes our job easier as well. And what we found is people would walk in very apprehensive, going ahhh, I don’t know if this is for me. Because you know, a support group has a stigma to it too. I remember myself as a daughter thinking, I don’t have time for that. I have enough things to do. I’m not going to go to a support group. But what I find is within one to two meetings, people, I could push them in front of a TV anchor for an interview because they feel empowered, they feel connected, they don’t feel alone and they feel filled with hope. Because they’re having conversations, they’re sharing stories and we don’t talk about just dementia. In fact, it kind of takes a back seat. You know, we talk about all of life. So did they go on vacation? Did the car breakdown? LORI: Is anyone sick? How’s the pets doing? We talk about everything. And then dementia comes into play in all of that and so they will come in and they’ll share resources. They’ll pose questions, they’ll share great experiences that they had or ones that weren’t so wonderful, and ask for advice. And as facilitators instead of– you know, we’re always trained to jump in and fix it, handle it, you know, answer the question– we sit back and let the group come up with the answers. And that way we learn and we can fill in. But they are filled with knowledge and that’s so empowering for them because again, they go to these groups thinking I don’t know anything, and then they realize, you know what? I know less than Barb and Dean, but I know more than Faith and Tim, and I can help them out. And they realize we can always give a hand up to somebody. And it might not be all the time and it doesn’t have to be all the time, but it feels good for any of us to help anybody. So that’s a very empowering thing about the group. They meet for lunch and they talk on the phone and you know, they do stuff outside of our group. They make really special, close friends, these deep connections where they can have real, authentic conversations where no one has to apologize if somebody does something that to the rest of the world might seem kind of strange. Everybody just takes it in stride because that’s their world. LORI: And so it’s just a blessing. And some days we meet for two hours, some days when I leave my cheeks are sore because alls we’ve done is laugh. JANA: So are you going to those on a regular basis now? Or are you like handing them off to people to lead? LORI: I am still involved in the one in Roseville, and we meet twice a month. I’ve gone back and forth of should I step out? But they fill me. You know, as a facilitator I really miss when I’m not there. And sometimes when I’m speaking I do miss a meeting or something, but I really try very hard to be there because I just think they’re so valuable. I would have loved to have had that with my mom. She would have so enjoyed that. Some people have formal programs. Some people in the memory cafés will split the people with dementia up from their care partners. They’ll get together for maybe half the time and then split up. It just depends. The important thing with a memory café is always have your ear to the ground and ask the question of what do you want? What do you need? And go with the flow. Don’t ingrain this so it’s not flexible. Dementia needs flexibility. It needs us to be spontaneous and nonjudgmental, and if we’re really going to be there to serve the people, we better be asking them, is this working, and if not what would you like? And how would you like it? JANA: So how can people find a café near them — a memory cafe near them? LORI: Kalendar Kards, they have developed the best resource directory out there and it’s just memorycafedirectory.com And you can go state by state and I think Wisconsin and actually Massachusetts have the most in their states. They’ve got, I think, 100 and 160 in their particular states. And not all of them are in there, so we have to also spread the word of this, but they’re just absolutely marvelous. And you know, you don’t have to be a nurse or a social worker, a psychologist to run these cafés. In fact, our group said we don’t want a medical model. They’re looking at building community and so when I mentor people, a lot of times I’m more than glad to talk them about how to develop it because I’ve done that a lot with people, but it really is what do you need in a facilitator? You need a person who likes to be with people. LORI: You need a person who can communicate. You need a person who can actually move the wand, so if it’s getting stuck in a place too long, you know the conversation needs to move. And you need to be able to say, I don’t know the answer to that question. What do you think? And how are we going to find an answer? And then to also realize that not everybody wants or needs to be fixed. Sometimes they just need to be heard. And so we have to be very conscious of what are we doing, and what do our people need and want. And a lot of times, I mean with all of us, sometimes we just need to vent. We know we can’t fix it. We know that there really isn’t probably anything we can do about it, but we just need to release it so we’re not becoming that pressure cooker where we’re going to blow maybe inappropriately. JANA: Yep. I grew up in a family of fixers. My parents, especially my mom, the answer to every venting was a need to fix it, which was really nice on the one hand, but on the other hand it’s like I just want you to listen. And I think that it takes a really conscious effort for people like me, like control freaks, type-A personalities to just listen. It’s really a hard thing to do and it takes a lot of practice. LORI: One thing that I learned during my journey was– my mom with dementia, as it progressed, she became the safest place in the world for me to visit. The safest place to be because she didn’t judge. She didn’t try to fix. She just accepted me and that was a huge awakening for me of: I could be that gift to somebody else, by just shutting my lips and just listening. Because sometimes we feel with a person with dementia, we have to keep them busy. We have to be doing something, but yet when you think about what’s one of the most comfortable spots you can be, sometimes it’s just sitting next to somebody you love or care for and not saying a word, and being content in their contentment, instead of being busy thinking of all the stuff you have to do. It almost to me turned into a kind of a semi meditation practice of being quiet and being still because I was like, you, and some people will say, I’m still like you– I’m that “A” personality. I saw myself as very organized. My brother saw me as a control freak. You know, we have very different perceptions of who I am. LORI: It’s just all about are you going to ask yourself to me one of the most important questions on this journey or just during life as a whole and that question is, what’s the lesson? When you’re frustrated and things aren’t going smooth, ask the question, what’s the lesson? Because so often we spin in the problem and we think we’re trying to figure out an answer, but we’re not. We’re just spinning. But when we consciously asked what is the answer to this? What is going on? What’s going to help me? All of a sudden you’re now focusing on really finding an answer and you’re looking for a true answer to your problem and you receive. You receive those messages, and you see those messages because your consciously caring about that and not the minutiae that we get wrapped around us all the time. JANA: So on one of your radio shows, you made this really interesting point that the healthcare system has set up dementia to be a crisis, that the medical system has trained us to think about dementia as a crisis. And yet people live with all sorts of conditions that we don’t label a crisis. Right? So my question is, how do you help people who are dealing with dementia see it differently? And how do you work with companies? I know that you do a lot of work with companies and that’s fascinating to me. LORI: Well, I think one of the first things is to realize that this is just another stage of life. It’s not the end of life. And just because our medical professionals and our researchers haven’t found an answer that doesn’t mean your life is over. It just means that you have to adapt to your symptom. And we have done that since the day we’ve popped out of the womb. We are constantly going through phases, from infancy to our terrible twos, to whatever. It’s constant– to college and marriage and jobs and whatever it is, we are constantly adjusting. This is just another adjustment. So one of the things that bothers me about here in America is that we always seem to try to get attention by fear. We are going to sell something using fear tactics. And that is a huge, incredible piece of history to crush and to reframe with people. LORI: And I truly believe that just because our medical professionals don’t have all the answers, they can have some of the answers if they choose. If they choose to give hope. If they choose to give a number to the Alzheimer’s Association or the Alzheimer’s Foundation or support group or whatever it might be. Send them over to Mayo to look for different things. Refer a book or two, but give people hope. There is so much information out there right now. It is absolutely ridiculous. But it’s not congregated in a single place, and so people go to Google and they get overwhelmed. There’s actually a company here in Minneapolis called Provalens that’s developing a dementia resource directory called Care to Plan, which has been my vision for 35 years. I always thought there had to be more. There had to be more information. 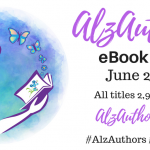 And that’s why I started Alzheimer’s Speaks: to raise everyone’s voice. So right now that’s in Beta testing and that will help, but it really is about giving hope, because when you give people hope, they’re not there just for the journey, but they’ll stick around after. That’s what breast cancer is done. Look at the marches and the walks that people are involved in way after someone has passed. And yet with dementia, even our walks, most of them aren’t really conducive for a person with memory loss. We did a dementia chats on that, where I interview a panel of people with dementia and they said, know we love the concept, but these crowds aren’t good for us. They take pictures of all these groups, but why don’t they take a picture of us growing as being a voice and being involved? Why don’t one of our voices kick off the walk? Why don’t they let us walk in front, so we don’t have all the noise? LORI: Why don’t they have, you know, maybe some benches where people can sit if they get tired. They came up with all these great ideas — so instead of it being about a memory of somebody who’s no longer able to participate, letting them participate. Part of that is, you know, we have to change the face. 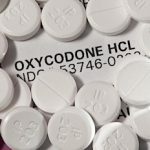 For so long we thought this only affected the very old and senile and they were in a wheelchair and they couldn’t talk and they were drooling and the nursing homes smelled like urine. And again, that was a big stigma that had to be changed. And we’re still in the process of changing that. People are driving, people are working with dementia. Children are starting to get diagnosed with this. You know, people have to look at this differently. And not all of that is through concussions. People think this all must be through sports and it’s like, no, not necessarily, but the concussions are a huge thing. Not only with sports but for people who have been battered and abused from car accidents. LORI: I mean there’s all different angles– just like with so many other medical conditions. So we have to get a broader spectrum and again, put it in the balance of: this disease, like so many, knows no borders, and it’s going to attack whoever the heck it decides it’s gonna attack. And we have to work publicly, and have a conversation out in the open about who is this affecting? And not have people ashamed to say, you know, they’re dealing with it in their family or with their friends or with themselves. We can’t make true change if we don’t have an honest, authentic conversation that includes everyone affected. And everyone affected is everyone. It’s our businesses are affected by this. You know, there’s a program called The Purple Table, where they are training restaurants on how to better serve people with dementia, people with post-traumatic stress, people with autism, so they’re not ostracized. But menus are modified, seating is different, staff is trained how to communicate better… these are real simple things. And one of my sayings is, you know what’s good for dementia is really good for all the world, because it’s really just about accepting and being respectful of everybody’s differences. JANA: Have you seen a shift over time since you began doing this work? LORI: Oh yeah. A big shift. Not Big enough, but a big shift. The first five years I was almost ready to just move to Europe. And I remember having a conversation with Marc Wortmann, who is the director of Alzheimer’s Disease International. I said, Marc, I just– I don’t know if I can do this. I said, no one wants to collaborate here. It’s so difficult. And he just started laughing. I’m like, what is so funny? And he’s like, you really don’t get it do you? And I’m like, get what? I said, you guys seem to be able to work together and we just don’t have that here. And he says, Lori, we’ve always been a social country. You know, we’ve always been about the greater good. People left here because they wanted to be independent. They wanted that proprietary ownership of things. That’s why you’re having this battle. So I think– and again, people say, I’m kinda goofy on this– but I think dementia is here to teach us a lesson, you know, all over the world, but especially here in the US, which is where I’m most familiar with– that we haven’t been listening. And this disease is going to make us pay attention. LORI: We don’t have all the resources in the world, we don’t have all the staff. We don’t have all the time and money, so we can’t afford to not collaborate. And we can reach a broader audience by working together, and differentiating ourselves amongst this common ground so that people can find the resources that they really need because none of us –there’s not one company that’s going to meet everybody’s needs. It just doesn’t work that way. So let’s be honest and stop lying to ourselves that everybody with dementia is ours. Like even when we did our memory cafes, at first we did not get people referring people to the memory cafe because they were afraid they weren’t going to go to their group anymore. And I’m like, well you can’t have our people. They’re not your people. And literally it took us over a year to get any PR on this. And then we got PR from our sister city in Minneapolis, and we had people driving one hour, one way to get to us. And took St Paul, our own city, another year to do anything on us. LORI: But there’s just this ownership thing. It’s just very bizarre, but now I’m seeing not only individuals but companies working together and I think it was 2013, we launched the first dementia friendly community in Watertown, Wisconsin. And that was due to a conversation I had with Michael Klatt, who’s the Executive Director of the Lutheran Home Association. And he said to me, he’s like, Lori, I’m on board with this. He’s like, I’m going to give you an hour with my staff and if you can convert them, we’re in. And so I went down and I talked to them and I talked for like 15, 20 minutes and he stopped the meeting and then my heart just sank. And I thought, oh, oh no. And he’s like, we’re in. Look at them. We’re in. You don’t have to pitch anymore. What do we do? And we got going. But it’s aligning people — and this is a big shift too, Jana — we have always been taught that we need name brands and titles of people if we’re going to be successful in doing anything. And I say throw that to the curb too, because we have all been on committees where someone is there because they’re told they have to be there, and they don’t want to be there and they just kind of stink pot and sell out the committee. And you don’t go anywhere. And pretty soon the people with passion drop by the wayside. So I say, knock that off. Start talking about what your passion is, what you think can be changed, and start aligning with people that believe in change, that want to give hope, that are more afraid of not trying than they are a failure. JANA: What does a dementia friendly community look like? LORI: I’m not a bureaucrat and I say, let’s go with the flow. Stop with the mission statements and the criteria and the recertification, and start making change. Listen to the people and be spontaneous. Here in Minnesota we were talking, and I was on the National Alzheimer’s Plan Act, we were redoing our group and you know, everybody is doing what we always do. You know, we’ve got to have this mission statement. We’ve got to have control over everything and finally, as I thought– I’m going to pull all my hair out as I’m listening to all this– and I said, okay, I have to speak up, and you’re probably not going to like what I have to say, but please listen. What if we didn’t have a mission statement? What if we just had a tag line, one that said what we’re about and empowered them and inspired them to do what they felt was needed. JANA: Yeah, that’s all you need. LORI: What if instead of having this checklist of what they have to do, what if we just had mentors that fed them ideas? That’s what I go around the country and do — I feed people ideas and they get excited and they grab the nuggets that resonate with them. Let them grab those nuggets because they’re going to propel forward faster if they’re interested, if they believe, versus doing something that they don’t believe in. People ask me all the time, Lori, how have you done what you’ve done? And it’s like, because I believe it’s possible. And I believe it’s shameful not to try to change. And so when I left my job as a residential real estate agent in 2009, which I had done for 25 years– I adored, I never thought I would leave it, never– I did it under one criteria I held to really strongly, and that was: I will not work in a broken system. And I looked around and there was no place for me to fit. JANA: [laughs] Yeah, good luck with that! LORI: [laughs] And so people would say, well you have to pick a lane. Even with speaking, you know, are you going to speak to the professionals? Are you going to speak to the families? Are you going to speak to the people with dementia? JANA: Why? I don’t understand that. JANA: Yeah, you’ve got a lot going on there. LORI: … and then the live, and then webcasts and things like that, because everybody learns different, everybody’s got different bunches. And we need to get this information out on multi-levels, so that people have choice, and yet they’re still being educated. And nothing I do is fancy. I’m not pitching. I’m just trying to have an honest conversation, raising voices like you are, because that’s what people want to hear. They don’t want to feel like someone’s just pitching ’em. They want to hear that authentic voice. And they want to hear that people believe. And that they’re actually making progress. And that they’re willing to share. And people are always willing to share their stories if we just ask. JANA: That’s so true. Well, Lori, before we go, I want to ask you to share what Betty the Bald Chicken is all about. That’s a story that I think people need to hear. LORI: [laughs] Okay, I get a lot of things that come to me in dreams, and so one night I woke up and I just kept seeing this bald chicken and I kept hearing the word Alzheimer’s, and I kept seeing it run before my eyes and it was like, what is up with this? You know, but I was old enough to know that if I don’t wake up and grab a pen, I’m not getting any sleep because that’s all I’m going to see. LORI: So Betty is this chicken, and she lives on this farm and she has this amazing life. She’s connected with friends and family and her community and she is loved and supported and she gives love, and her world couldn’t be much better. And one day she goes out into the barnyard and she’s nibbling on her corn, having dinner, and she feels this tug and pull on her shoulder and she looks around and she’s like, well, nobody’s there. You know, she’s just eating her corn by herself. And she’s like, oh, that was weird. And in her gut she’s thinking, something changed. I don’t know what, but something’s off. And she’s like, just dumbfounded. And so she bows her head and she’s like, Oh heck, I’m just going to keep eating. And when she bows her head to nibble on her corn she sees that one feather has fallen. And she’s like, is really strange because it really felt like someone pinched me or pulled that feather out, but yet nobody was there. And she decides she’s not going to say anything to friends or family because what do you say? You know, it sounds kind of like a crazy story. LORI: So she goes on with her life and is having a great time, and about three months later she’s out in the barnyard again and she’s having dinner. She’s nibbling on her corn and this time she feels this tug and this pull, but it really hurts. And she just sqwuaaacks out in pain. And when she does, all the other barnyard animals stop what they’re doing and they look at her. And she sees the fear in their eyes and she sees some of them putting their hands up with their palm towards her pushing her away. And others are grabbing their children and pulling them away from Betty, and she’s so shocked and ashamed and she’s sore and she doesn’t know what happened. LORI: And as she looks down in shame, she realizes her body is bloody and pockmarked, and there’s feathers scattered all over. And she has no idea what happened, but she knows at that moment her life is never ever going to be the same. And from that point forward, her friends and her family start uninviting her to events that were coming up. They stop calling. They won’t walk by her. They scoot over in the barnyard to not be near her. And they keep pulling the children back from her –say, no, you can’t be by her. You can’t be by her. And she just feels so isolated and alone and so scared. And so she decides she’s going to walk the outskirts of the farm. And as she’s walking, she is praying and she’s crying and she’s saying, God, what did I do so wrong? I was a good chicken. LORI: Why is this happening to me? I don’t understand. They’re so afraid of me, and I’m so afraid. And she’s crying and walking and she ends up tripping on this big rock and she stumbles forward, and she ends up falling off this big cliff into this ravine, and as she’s screaming on her way down, she’s thinking, no one’s even gonna know I’m gone. No one’s even going to know I’m dead. Nobody cares, and she’s just devastated, and she continues to scream down this ravine. But what betty doesn’t know is at the bottom of the ravine, there’s a whole other community called the Caring Corral and they heard her cries and screams and they all ran to capture and embrace her fall. And not one of them asked her what was wrong. They just wanted her to heal and get better. And so as Betty recovered, they all got to know her and they embraced her. LORI: And they said, Betty, why don’t you just stay down here with us? You know, because Betty told them what happened up there. And they’re like, you don’t fit in up there anymore. You’re uncomfortable. Stay with us. We love you. We want you here. And so she decides, you know what? I think I will spend the rest of my life down here. There’s nothing for me up in the barnyard. And she goes on to have a beautiful life down there. And then one day she falls sick and all the animals in the Caring Corral gather, and they decide that one of them has to go back up to the barnyard to talk to the other animals and let them know what’s going on. So the horse runs up and he gathers all the barnyard animals and he says, Betty has fallen ill and we don’t think she’s gonna live much longer. LORI: You have one last chance before you. What are you going to do? Are you going to continue to pity her and push her away like she wasn’t important in your life? Or are you going to choose to be compassionate and reconnect and remember all of who Betty has been to you in with you? And you see, it really doesn’t matter who any of us have been, and it doesn’t really make any difference who you are even in this moment. It’s all about our next moment. Because if we’re honest, we’ve all been Betty multiple times in our lives, where we’ve been shunned, we’ve been pushed away, we haven’t fit in, and we felt horrible. If we’re honest, we’ve all been a barnyard animal who has walked away from somebody in need. But each and every one of us can be a member of the Caring Corral. It’s just about choosing to consciously care in every moment we’re given. Who do you want to be? JANA: That sounds like such a wonderful place to end. Unless you have anything else to add. Do you have any last thoughts before we close? LORI: No. The only thing I was going to say, because I think you mentioned a giveaway and I’d be glad to give people a link to the memory chip, and then also I have some tips for communicating with people with dementia and I can send that to you, those links, so that people can go ahead and grab both of them if that’s of interest to them. JANA: Absolutely. We’ll put those in the show notes. We’ve been speaking with Speaker, Trainer and Advocate Lori La Bey. Lori’s the founder of Alzheimer’s Speaks, a Minnesota-based advocacy group that provides resources and tools for people dealing with Alzheimer’s and related dementia. And of course we’ll have links on the Agewyz website to Lori’s website, and to all the ways you can connect with her. Lori, thank you so much for all that you do to shift the dementia care culture, and for your ongoing dedication to helping folks with dementia and their care partners move from crisis to comfort. LORI: Well, thank you for all you’re doing. This is just a real fun conversation and I hope your audience finds it helpful.